Cooped up on maternity leave and starved for conversation, neighbors Jessie and Lina become fast friends when they begin daily coffee dates in their adjoining backyards while their newborns nap. Though from vastly different financial backgrounds, they bond over their ferocious love for their babies and the monumental demands of new motherhood. When a stranger from a nearby mansion drops by to ask if his wife who is “having a hard time” can join their coffee klatch, their fearsome two-some is infiltrated with shocking results. 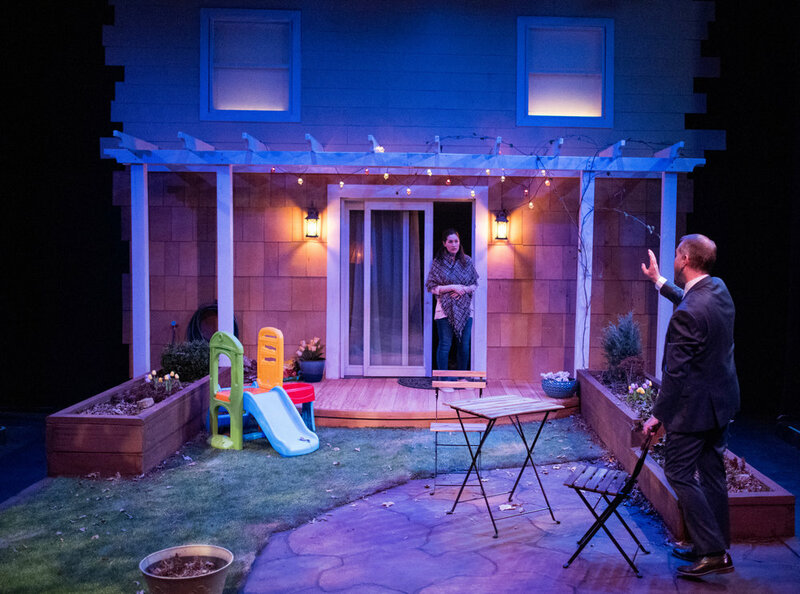 A whip-smart comedy with a sharp edge, Cry it Out takes an honest look at being home with a baby, the power of female friendship, the dilemma of going back to work, and the effect class has on parenthood in America. For press release click HERE! *Member of Actor’s Equity Association, the Union of Professional Actors and Stage Managers in the United States. We recommend children be 12+. This production contains strong language and adult themes. Please contact box office for details.